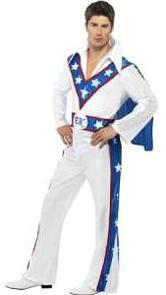 Ziggy Stardust, John Travolta, Elvis and even Starsky and Hutch - become your favourite TV, movie or pop star! We'be brought together oodles of ideas which will enable you to choose the perfect 70s outfit. Disclosure: Simplyeighties.com is participating in the Amazon Associates affiliate advertising programs. These are designed to provide a means for websites to earn fees by advertising and linking to items at amazon.co.uk. Peace man! 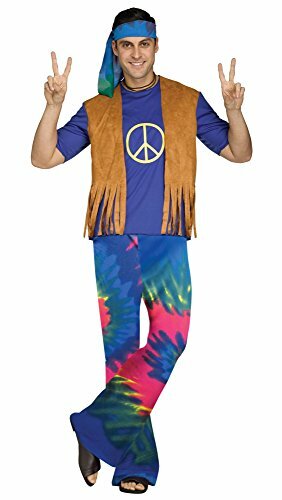 Click the pic to access a fantastic range of psychedelic Hippy style outfits and accessories for men, to suit all budgets. No, the guitar is not included with the outfit above! These Kiss style or Alice Cooper costumes are about as 70s as you can get! 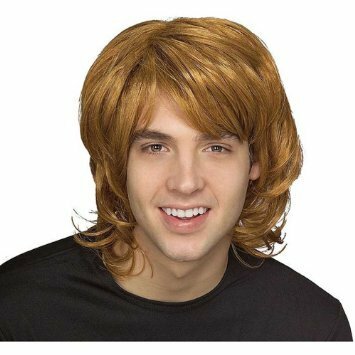 This page Includes make-up kits, jumpsuits and wigs. "Don't forget to tell 'em about the honey mommy!". This was one of the most memorable characters from my 70s childhood, and featured in the Sugar Puffs ads.This great-looking outfit is Ideal for Halloween or 70s themed parties. We all remember watching this evil villain in the 70s cartoons. 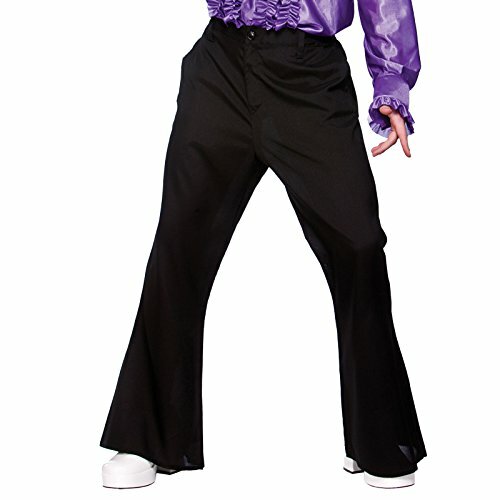 This authentic looking costume Includes a hat with fake glasses attached and an elastic band to perfectly fix it, a pair of red gloves, a violet jacket with long collar and a fake moustache. The jacket closes with an elastic band and has fake pockets and buttons. For a short while in the mid 70s these Scottish tartan teen sensations had hit after hit in the charts. 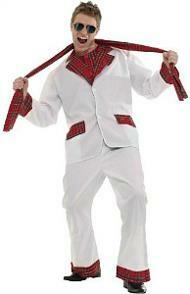 Teenagers all over the UK went tartan crazy and the band seemed unstoppable. Of course, the record-buying public are a fickle lot and it all fizzled out pretty quickly. 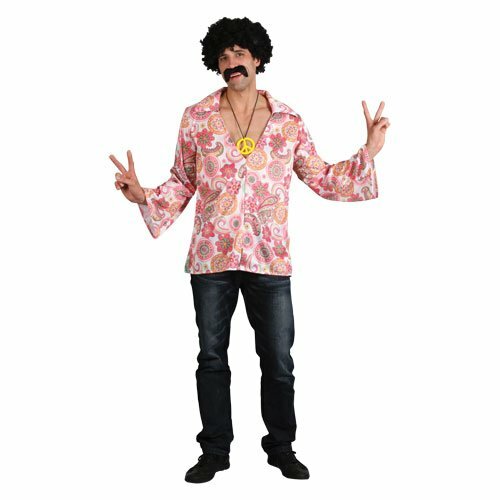 But you can relive those golden times with this costume, which is perfect for 70s and retro dress-up. 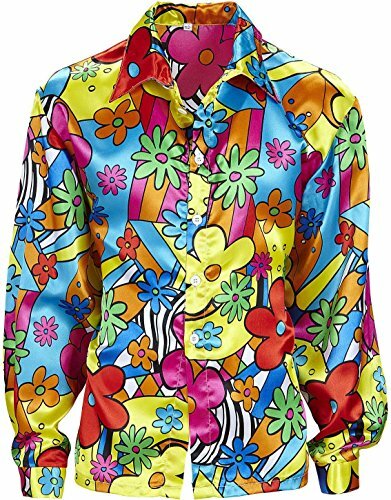 Add a pair of flares to this colourful and groovy shirt and you'll look like you're ready to party 70s style! Also add a medallion and wig for a complete look. Relive the 1970's David Bowie Ziggy Stardust era! This fancy dress costume, includes a patterned striped shirt, matching trousers, gold boot tops and lightning bolt belt. Comes in one standard to fit up to a chest size 42 inches. 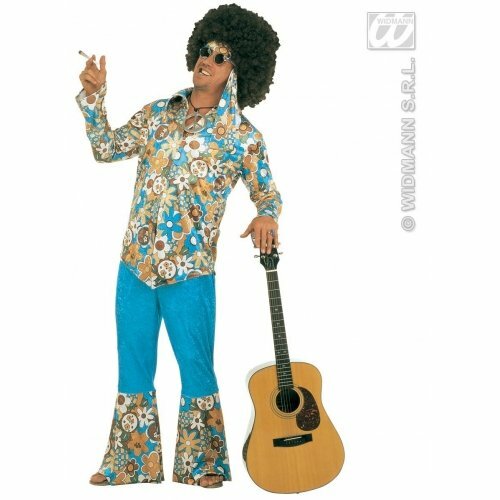 Available in many different colours and styles, a blow-up guitar is ideal for completing a 70s rock star look. 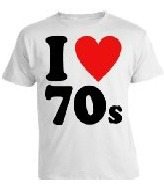 This page features a range of I Love 70s T-Shirts, including other logos such as I Love My Capri. 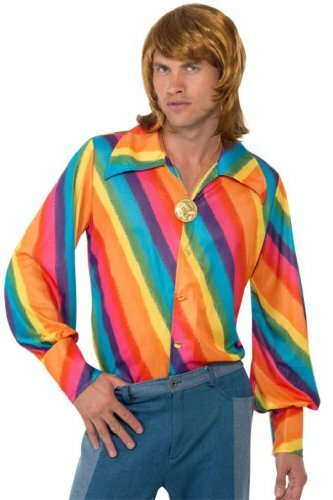 Perfect for a cost-effective and instant 70s look! You may remember watching Adam West as Batman and Burt Ward as Robin back in the 60s. Or if you're like me, you may have watched the repeats of the TV series during the 70s. Now you can dress-up as either one of them, or if you're off to a party with a friend why not dress-up as the dynamic duo? This was one of my favourite TV shows back in the seventies, and Lee Majors did a sterling job in his role as the bionic man. 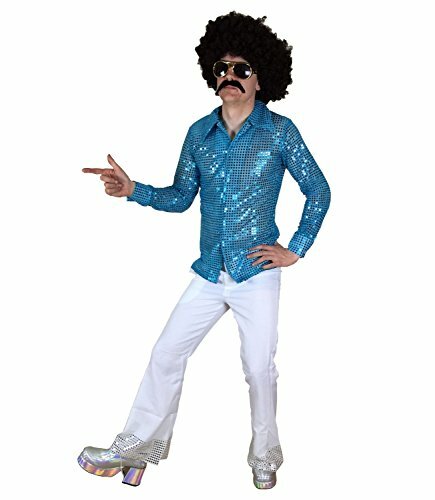 This outfit is ideal for 70s or sci-fi themed events and parties. 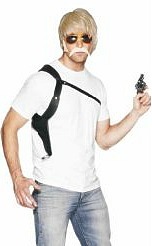 Now, this is a pretty original idea for retro dress-up and one that not many people think of for a fancy dress idea. I remember those TV ads like it was yesterday "always remember the green cross code, because I won't be there when you cross the road". 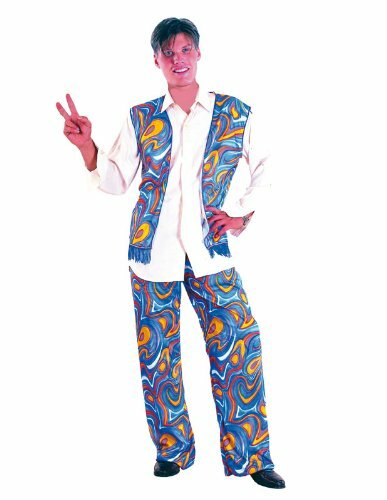 You'll look very groovy in this costume which includes the shirt and flared trousers and is available in sizes Medium and Large. 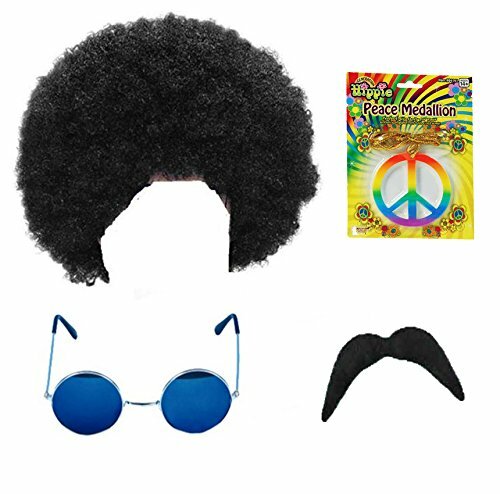 Add an afro wig for a fun look. 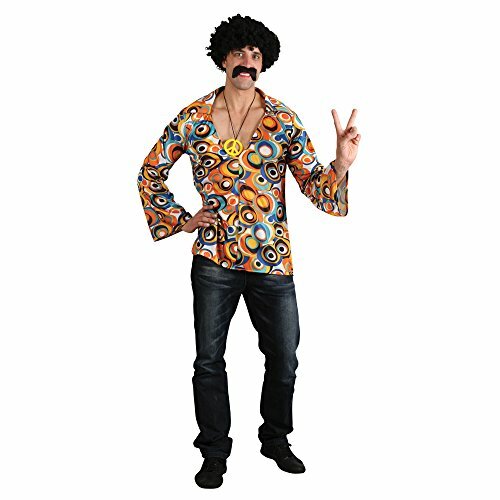 To gain some inspiration and ideas, click the photo to access a wide-range of competitively-priced 70s style costumes for men at Amazon.co.uk. 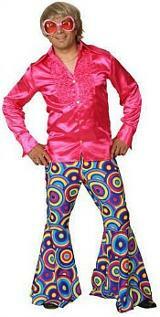 If you're going to a party or stag do with a friend, then why not dress-up as the ultimate 70s double-act? This page also includes Starsky & Hutch T-shirts. Here we have a nice choice of "I Love 60s" T-shirts for men and women, which are ideal for a 60s-style event or simply wearing out and about. I was fascinated by the original Willy Wonka film back in the 70s, especially these little men with their green hair and bright orange faces! 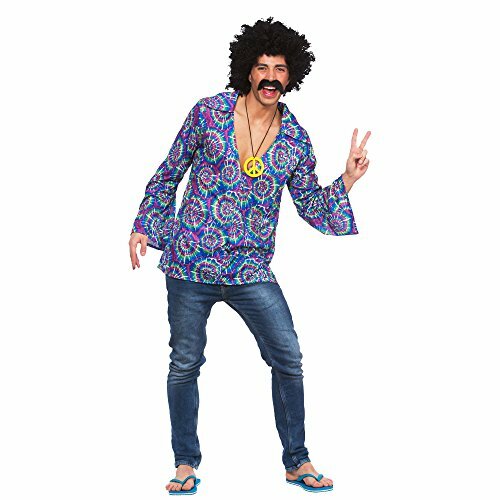 A range of costumes are available to suit different budgets, and you'll be instantly recognisable in this costume - great fun! Is it Penry the mild-mannered janitor? Could be, but now it could be you! 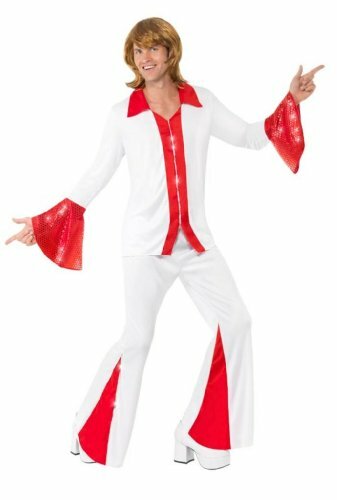 This complete outfit includes a robe, belt, trousers and character headpiece, and is ideal for a 70s or cartoon character themed party, or could be worn for fun at a martial arts event. This daredevil thrilled millions with his death defying motorbike stunts, and this iconic costume is well-recognised by anyone who experienced the 70s. 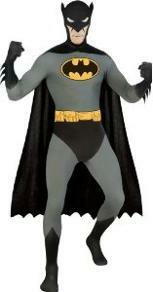 The all-in-one jumpsuit with cape is easy to slip on, and would look fantastic at any fancy dress party. A fantastic looking outfit with zebra print pants and shiny jacket. Just add the wig (which will be shown when you select the link above) and you're ready to party! 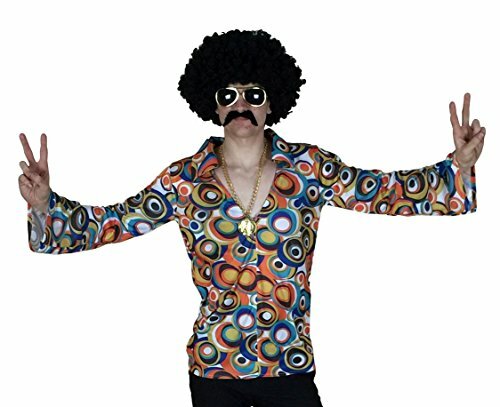 Here you will find a groovy range of disco-style outfits, shirts, flares, wigs and accessories to help you get down in the disco! Who can forget Huggy Bear in Starsky and Hutch? 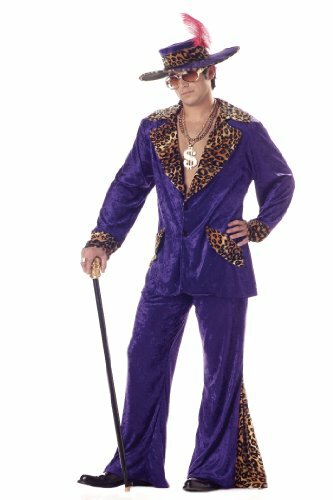 Pimps featured in many great 70s movies, too, and this fun range of costumes and accessories will suit all budgets. This page also includes accessories such as medallions, hats, canes etc. Punk was all the rage in the late 70s, and this page features a range of accessories, wigs and complete outfits for men. Guaranteed to turn heads at any party! Yabba Dabba Doo! With this link you can access a large range of costumes celebrating the classic cartoon TV series. Includes Fred Flintstone, Barney, Wilma and accessories. "It's Christmas!". Well, it may not be when you're reading this, but the unforgettable sound of Noddy belting out those 70s hits is forever etched in many people's memories. 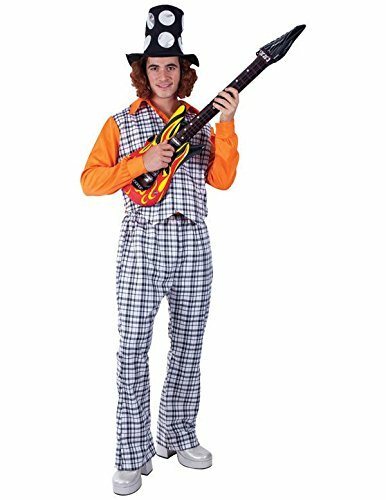 This fantastic-looking costume includes a pair of black and white checked trousers with a matching waistcoat which features an attached bright orange shirt. Also included is a top hat with attached curly hair. 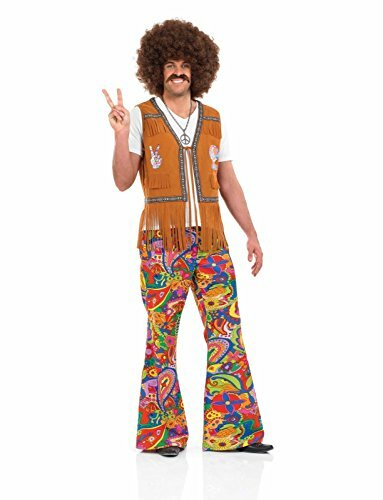 There is a groovy variety of 70s style flared trousers for fancy dress available, including white, tartan, tie dye, plain, patterned etc. Prices start at under £10. 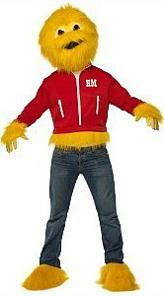 With this complete costume you can transform yourself into Jon Pertwee as the talking scarecrow. Let's just hope you'll be having more than "a cup o' tea and a slice o' cake" at the party!